The 23rd edition of Euroconsult's Satellite Communications & Broadcasting Markets Survey will be published later this month and is considered to be one of the definitive planning tools to support investment decisions in the satellite industry. Released annually, this report a most complete and accurate picture of market conditions and extensive, insightful analysis of market trends. Euroconsult forecasts that traffic carried over satellite will reach close to 3.5 Tbps by 2025, with a 16 percent CAGR over the ten-year period. This corresponds to an upward revision of our previous forecasts, which also takes into account the anticipated massive increase in capacity supply over the period. The leasing of larger capacity volumes will however be at the expense of lower pricing, also in a context of heightened competition and falling fill rates. While regional situations will remain diverse, we estimate that the global average capacity ARPU could be halved when expressed in MHz by 2025. This combination of higher volumes and lower pricing leads us to a capacity market value that would stand at around $14 billion by 2025 compared to $11 billion in 2015. 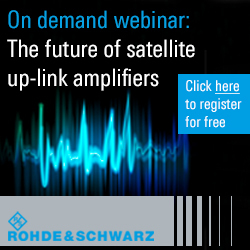 The last year has confirmed the transformational nature of the satellite communication sector's current development phase, with the confirmed appeal of HTS for several user segments through the signing of capacity contracts and the announcement of broadband LEO constellation projects, even if most are still under development. Euroconsult projects total HTS capacity leased to more than triple in the next five years, supported by recently announced contracts for entire HTS payloads or beams. In addition, challenges from the current macroeconomic environment combine lower and uncertain economic growth, depressed pricing of oil and raw materials, volatility in exchange rates and political instability in a number of countries. Given these circumstances, organizations must react dynamically to business opportunities as they materialize. Capacity usage on the FSS communications fleet increased by 6 percent to around 380 GHz (or traffic by 10 percent, to around 770 Gbps) in 2015. This included 1.7 percent growth in regular capacity usage and significantly higher growth in HTS capacity leased. A recent market outperformer has been mobility, now a separate segment in the report, which should represent more than 10 percent of total traffic by 2025. Operators are likely to face a period of low revenue growth due to increasing price erosion and possible temporary recession in the case of adverse exchange rates or macroeconomic environment issues. This trend will bring challenges on the return on investment, especially for new infrastructure projects. "Current business patterns correspond to those of a breakthrough innovation period," said Pacome Revillon, CEO of Euroconsult and editor of the report. He added that new and more cost-effective solutions open new opportunities, but also result in oversupply and challenge legacy satellite services and he stated that all should realize that all announced projects are not likely to come to fruition, as such would likely create a volume higher than what the market will support. However, this period can change the competitive standing of all organizations, and each project shall be considered according to its own merits. "Finally,"he said, "strategies pursued by organizations to adapt their business offering are quite diverse with an increasing trend towards managed services."